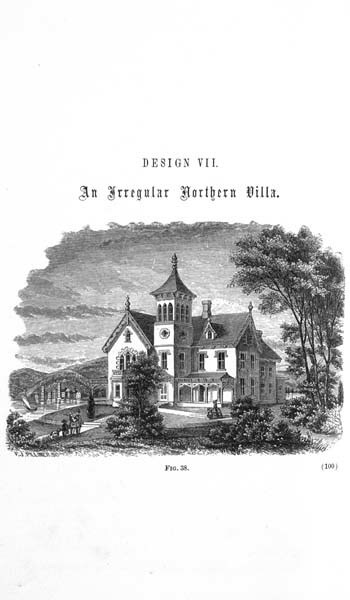 Sloan, Samuel, 1815-1884 / Sloan's homestead architecture, containing forty designs for villas, cottages, and farm houses, with essays on style, construction, landscape gardening, furniture, etc. etc. Design VII. : an irregular northern villa, pp. 100-104 ff.